ABC’s revival of the classic game show “Gong Show” is now holding video auditions and open calls for the 2018 season. The popular 70s game show got a revival and is now casting for season 2 of the Gong Show. “Gong Show” is an updated version of the beloved 1970s game show where people with talent, and without, would compete to impress a panel of celebrity judges. Those that did not impress or entertain the panel heard the disheartening sound of a mallet hitting the gong which brought an end to their act. The casting call for the “Gong Show” is out and folks with talent of all kinds can audition online. The Gong Show is looking for the zaniest, funniest and truly unique acts in the United States. Anything goes on “The Gong Show” stage and there will be prizes for those that don’t get the gong. 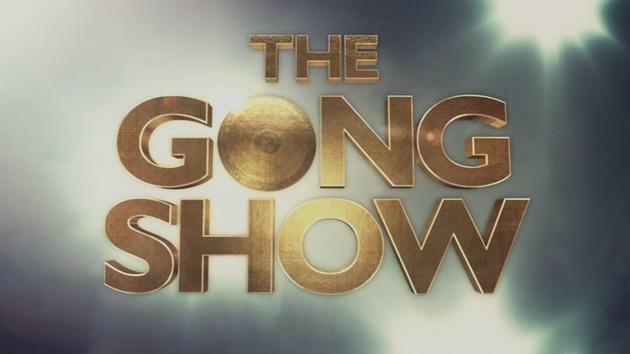 The Gong Show premiered last year and is produced with Sony Pictures Television, which was also behind the original series that premiered in the 70s. Will Arnett is the executive producer for “Gong Show” through Electric Avenue Productions. “The Gong Show” is now taking submissions from performers who would like to be considered for the 2018 season of the show. Talent interested is able to get their video auditions in to the show’s producers and casting directors by following the casting notice below. Comic Tommy Maitland hosts as performers — including contortionists, singers, magicians, dancers, comics, painters, and even people who work with scary bugs — try to impress a rotating panel of three celebrity judges. If any of the judges deem an act to be less than worthy of a score, they can pick up a mallet and hit the giant gong that is hanging behind them and end the performance. If the judges are happy with the act, they will let it play out until the end and present their scores. At the end of each show, the act with the highest scores receives a trophy and a check. ABC has revived a few old game shows which include $100,000 Pyramid, Celebrity Family Feud, Match Game and To Tell The Truth. THE GONG SHOW IS BACK! The producers of The Gong Show and MysticArt Pictures are searching the nation for zany, creative and one-of-a-kind acts for the iconic variety show. On this stage, anything goes! If you have an outrageous, unexpected and original act that you want to perform for a panel of celebrity judges. NOW CASTING SEASON 2 OF THE GONG SHOW! The producers of The Gong Show and MysticArt Pictures are searching the nation for zany, creative and one-of-a-kind acts for the iconic variety show. On this stage, anything goes! If you have an outrageous, unexpected and original act that you want to perform for a panel of celebrity judges, visit www.gongshowcasting.com to learn how to apply and submit a video for consideration. Visit www.gongshowcasting.com to learn how to apply and submit a video for consideration. Deadline for casting has been extended to March 24!